Blogging is hard. There is certainly a joy in it, and writing blog posts helps me hone my writing skills. But I needed to know how to make my blogging better and more efficient. I took a blog course and conversed with my fellow bloggers. Then, I took a good hard look at my blog and evaluated my style and desires. Here are some tips I used to make my blog better. 1. Focus your content. What are you writing about? Sometimes, this question is better posed as What do you like? That’s what I asked myself when I started this blog. I knew I wanted to share my writing experience, with my readers and with other writers. And I knew I wanted to talk about books I was reading. I also love movies. So I developed features that revolved around these topics. 2. Be consistent. You don’t have to blog every day, or even every week if you can’t find the time. But be sure that you are consistent. Humans, readers especially, are creatures of habit. They want to know the next time they can find new content on your site. On Soapbox, readers can expect an author spotlight every Wednesday, author tips on first (sometimes second) Mondays and Book-to-Movie Classics every last Friday. 3. Monitor your page views and statistics. Readers don’t always subscribe to your site, nor do they always comment. Some are reading from RSS feeds, Twitter notices and Facebook posts. The best way to gauge your progress is by monitoring your page views and other blog statistics your host site provides on your dashboard. From there, you can see what topics interest your readers most so you can continue building on your popularity. 4. Guest blog. 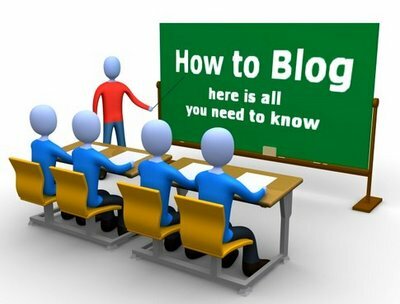 You can often increase your readership by guest blogging. 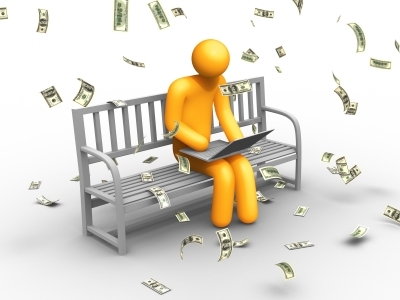 The best way to get guest blog appearances on other sites is by offering them. Many bloggers are willing to do guest exchanges so that both bloggers get exposure. Google the topics you love to discuss on your blog and find other bloggers who write about the same things. Then offer the orchestrator an opportunity to write a guest post on your topic. If you’re an author, like me, most other authors are looking for new venues to promote; offer them a feature on your site and typically, they offer an exchange appearance on theirs. Remember to include the link to your blog or website in your post! 5. Add visual cues. Each post you create should have some sort of visual. Even during National Poetry Month–when I post my and other poets’ prose–I always include a picture that I think accurately reflects the emotion of that poem. When I first started this blog, it wasn’t very visual at all. I was just writing stuff I felt, hoping other people cared (haha!). But I started researching other blogs, especially the ones with heavy readership, and I realized that the ones I liked most had colorful pictures and videos. In this age of technology, we tend to want something interactive and eye-catching to keep our attention. Beautify your post with attractive images, and watch your readership grow. 6. Be passionate. I said in Why I Write that passion is essential to garnering a strong readership. Of course, I was talking about authorship at the time, but it applies to blogging, too. Blogging is writing, just on another venue. The same passion for what you do needs to be present in your blog as well as your other writing; otherwise, why would anyone care? 7. Streamline. Make things easy on yourself. Use a blog host that allows you to schedule your posts ahead of time. I only create posts on Tuesday mornings so that all my time isn’t consumed with writing blogs. It also helps to know what topics you’re going to write about ahead of time. 7a. Developing steady features can help with this task. I get asked all the time how I come up with topics. Like I said in the first tip, once I narrowed down the subjects I wanted to talk about, I created features that reflected those subjects. I love books, so Soapbox Spotlight and RJS Reviews feature new indie authors and books I’ve read. I love to write so I try to share the benefit of my wisdom in my Author Tips feature. And movies are my guilty pastime so each month, I rate movies based on novels in my Book-to-Movie Classics. 8. Create backlinks. I did it all throughout this post! Creating backlinks to your topics and posts, both in your own blogs and in guest features, is an easy and efficient way to build your SEO (search engine optimization), and gives your readers quick links to other related topics. 9. Mind your titles. You want your topics to be easy to find on search engines. Try to make your post titles simple but catchy. It is this title after all that search engines are perusing, and it can make all the difference. For example, one of my first blogs was about the correlation between suffering and aesthetic genius that hardly got any views. After I changed the title and added a few pics, that post became one of my most popular blog posts to date. Most blog hosts give you the option to change your post title, even after it’s gone live, so you have more than one shot at it. Make it count. 10. Do it because you love it. If you’re blogging just to advertise or make money, you’re in the wrong business. It is the rare occasion that an independent blogger can make a living running their own site. The ones that do invested a lot of capital in order to hire writers, web designers, and IT techs. If you’re anything like me, you are not that person. You need a heavy readership to garner any real money from ads and solicitation links, mostly because only a small percentage of internet viewers (something like 7%) click on relevant advertisements. So until you get some outrageous daily view counts (something in the ball park of thousands), don’t sweat the money.